I am fasting today in support of the hunger strike of 100 prisoners at Guantanamo. As the day passes, I am struck by the stark contrast of my own life to that of the prisoners who have been refusing food for several weeks. I cannot imagine the conditions under which they have embarked on this hunger strike. Many of these people have been held at Guantanamo for a decade. They have been abused in every way possible, tortured, denied legal aide, or even trials. 86 of the prisoners have been cleared of all charges, but not released. Meanwhile, I go hungry for one day. I keep warm by sitting in the sun. The prisoners do not have this choice. I catch myself fantasizing about breakfast tomorrow. The prisoners intend to have no breakfast before freedom … even if it means death. I take a slow, meditative walk down the road. The prisoners do not get this option. I distract myself with facebook, twitter, blogging . . . such a luxury. The prisoners cannot even call the President or the Department of Defense to complain, as I have done on their behalf all day. Tomorrow this fast will end for me, but it won’t for the prisoners. CodePink has organized a ‘rolling fast’, gathering nearly 1,000 pledges from citizens to do 24hr fasts. Each person can pick their day, or days, to engage in this protest. Everyone is asked to call, email, fax, etc, the White House, the Department of Defense, and several other people to ask for the closure of Guantanamo. Deepak Chopra, Eve Ensler, and Julian Assange have all joined the pledge. You can too. 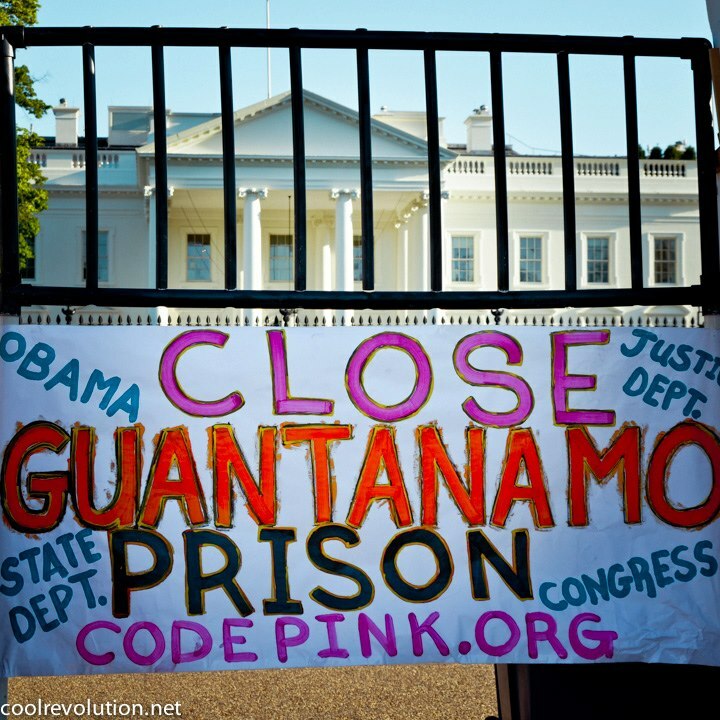 Please, read more about CodePink’s urgent call to action. Guantanamo has long filled the hearts of many Americans with shame, unease, and anger. President Obama campaigned on a promise to close Guantanamo. Numerous protests and actions have been held. But even as the hunger strike of the prisoners draws international attention, many are being force fed, several have been hospitalized, and the already much-abused lives of these prisoners are once more on the line. It is our time to join in to help. Tell your friends through all mechanisms. I am grateful for my six friends who pledged to fast today with me. Our conversations, reflections, and yes, humor, too, have made this political action a thought-provoking experience. 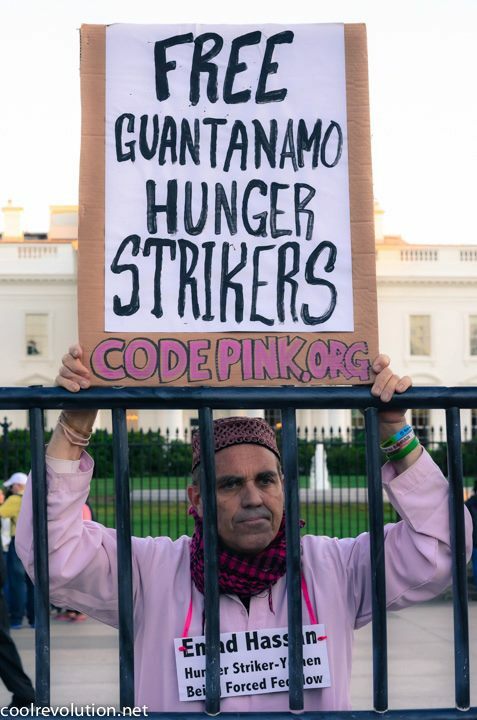 Thank you to CodePink for organizing and to all of you who will be inspired to help close Guantanamo and offer real justice to the prisoners.